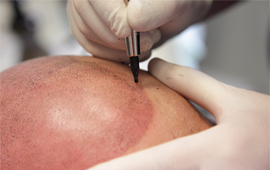 DHI, the global leader in Hair Restoration, since 1970, has developed DHI Hair Transplant, Scalp Micropigmentation, Hair Growth Shampoo and other Hair Loss Treatments. With 57 clinics around the world, DHI Global Medical Group has the largest and the most experienced team in hair restoration, and has helped more than 200,000 men and women suffering from hair loss. “ I was worried about the procedure and how it would feel, but after a painless session with real doctors, my fears went away." “I tried all the expensive natural remedies but none of them worked. 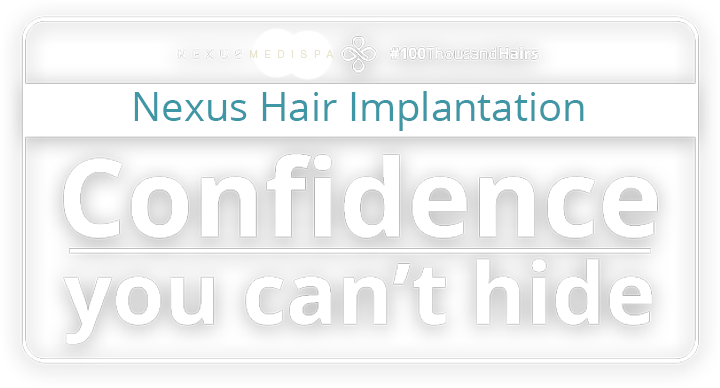 I soon as I received treatment from the Nexus Medispa I could see amazing results almost immediately." "Growing my hair back meant getting my youth and my confidence all at once. I wished I had done it sooner." Line of hair growth shampoos and lotions against hair loss. The Nexus Medispa is situated right in the heart of Kuala Lumpur. You can also visit our latest branch located in Cyberjaya. "The average hair count for men is 100,000 follicles. 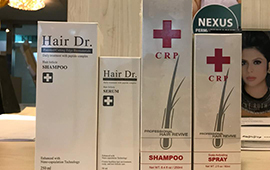 At the Nexus Medispa the goal is to fully restore your hair to its natural form"
- Dr. Jasmine Ruth Yuvarani, Nexus Medispa. © 2016 Nexus Medispa. All Rights Reserved.